Artistic expression about nature is the heart of the accredited Hudson Highlands Land Trust’s River of Words program. The program offers free classes and workshops through public schools in the Lower Hudson Valley’s Highlands region, based on the national River of Words program. While a number of the classes provide science lessons (such as analyzing bugs or local food webs), there is always an outlet for students to write, paint or draw about what they learned and to include their reflections and emotions, says Kathy Hamel, who coordinates the program for the land trust. For most classes, educators come to schools and adapt their lessons to the school grounds. This shows teachers how they can integrate outdoor education into a typical day, and it also alleviates the cost of transportation to a nature preserve. Even a small, unpaved patch of ground where bugs can be gathered is sufficient, Hamel notes. 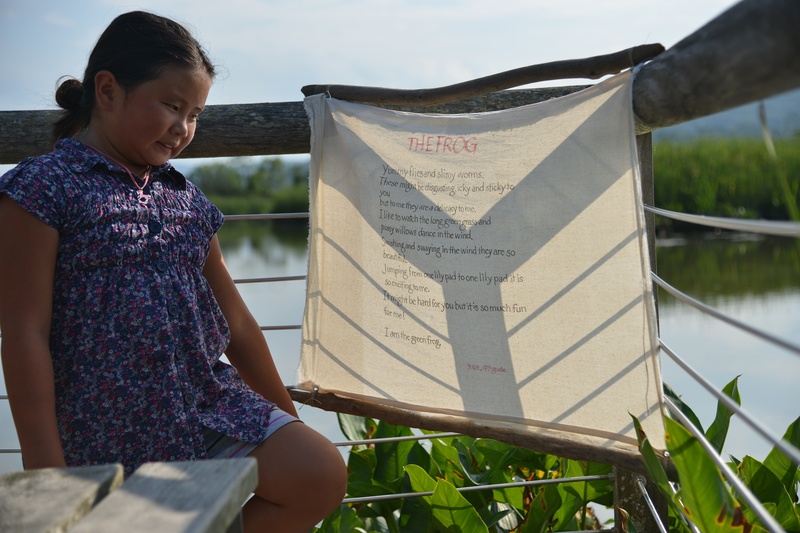 In addition to classroom offerings, the program includes a “Poetry Trail” of student-written poems temporarily displayed in natural settings on the Hudson River, teacher training and children’s summer workshops. Kendall Slee is a frequent contributor to Saving Land, the Alliance's quarterly magazine.